The butterflies are just the beginning of what you’ll experience at the Niagara Parks Butterfly Conservatory in Niagara Falls, Ontario, Canada. Over 2,000 butterflies flit about the Conservatory at any given time, their colours and patterns catching your eyes and delighting your love for nature and beauty. Walk through the rich and lovely gardens as you can spot up to forty-five species of butterfly go about feeding on nectar and flying through the air. It’s said to be a sign of good fortune for a butterfly to land on you. Remember that hey are tame and delicate, so it is important to allow the butterfly space and time to fly off on its own accord. 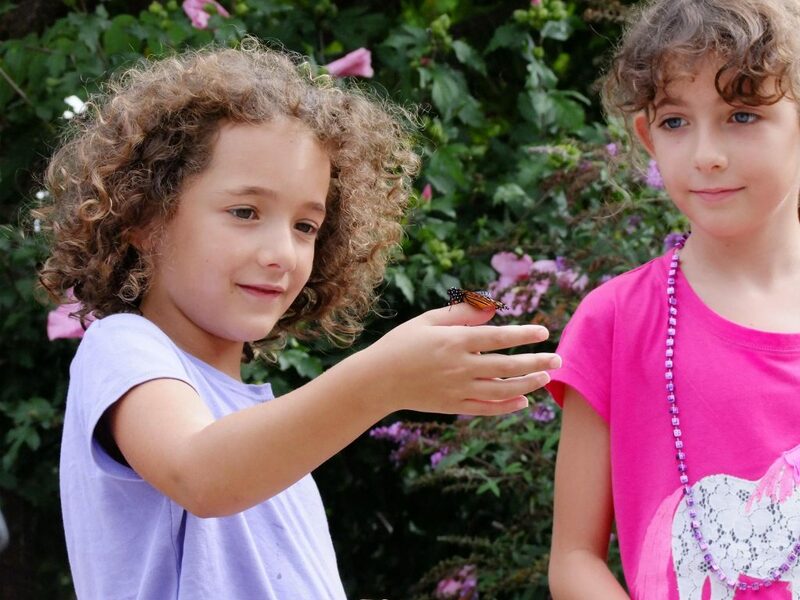 Throughout the seasons, especially during the summer and on school breaks, you can catch a variety of displays and exhibits of other insects in addition to the butterflies. You might just find a display of creepy (and edible) insects or other actors on nature’s stage, like reptiles and small mammals, being presented by knowledgeable and entertaining staff. One fun fact about the butterfly is that it was previously known as the flutter-by, until one day it was suggested they be called butterflies, and so they’ve been ever since. About 40 percent of the butterflies that live in the Conservatory were raised in a quarantined on-site greenhouse. Lucky onlookers can watch the Emergence Window, where butterflies exit their pupae and prepare to fly for the first time. Exotic species are regularly imported from similar butterfly farms in El Salvador, the Philippines, and Costa Rica. The Butterfly Conservatory is located on the grounds of the Niagara Parks Botanical Gardens, right on the Niagara Parkway, about 15-minutes north of the Horseshoe Falls by car. Step inside the glassed-in Conservatory to a tropical world of stone paths, lush flowers, plants, and of course waterfalls. The Botanical Gardens and Butterfly Conservatory are both family friendly and mostly accessible. There is ample on-site parking, and the grounds are a perfect place to bring a picnic lunch, take an afternoon stroll, and even have professional photos taken. Founded in 1936, the Botanical Gardens are comprised of 99 acres of pristine lands that are among the loveliest in Canada. The rose garden alone features more than 2,400 flowers tended by staff as well as students from the Niagara Parks School of Horticulture. There is a bloom schedule posted online at Niagara Parks so you can plan a special trip to see your favourite flowers. At Holiday Inn by the Falls, it’s all about having the best Niagara experience possible. Attractions like the Butterfly Conservatory and Botanical Gardens offer a unique experience while showcasing the talents of Niagara Horticulturists and the beauty of the Niagara landscape. With so much to discover in close proximity to Holiday Inn by the Falls, it’s the perfect hotel to stay at when visiting Niagara Falls. Check out more attractions in Niagara Falls, including Wild Play Adventure Course, a series of Ariel Obstacle Courses right along the Niagara Gorge. Whatever you do in Niagara Falls, we hope you enjoy your visit!